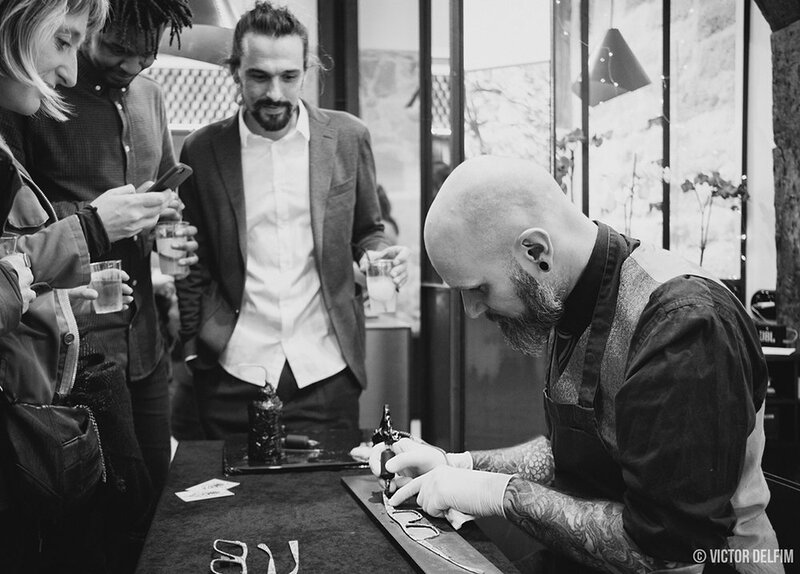 To celebrate the opening of our very first shop in Paris, we threw a party in le Marais! 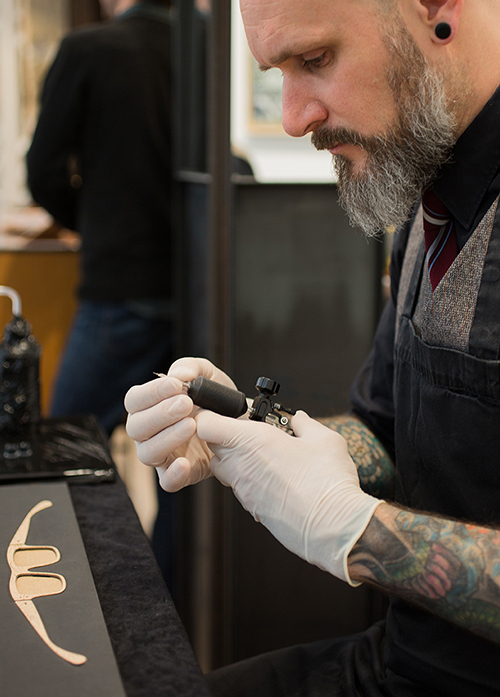 We invited Parisian tattoo specialist Easy Sacha to perform by tattooing 2 genuine cow leather frames. 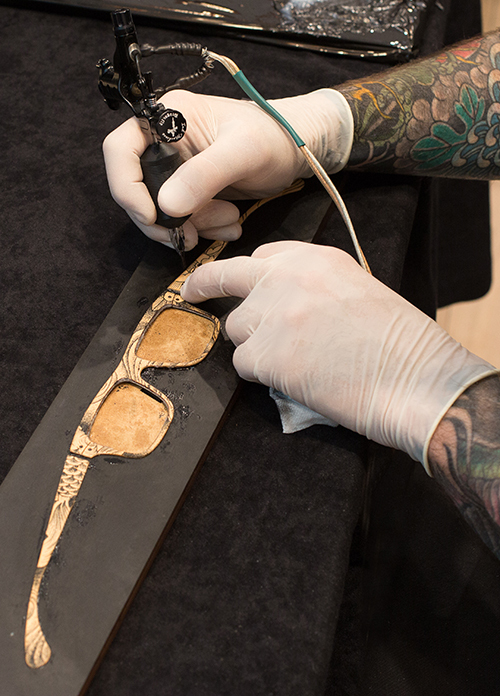 Easy Sacha who is an expert of Japanese Irezumi tattoo, designed a carp fish pattern inspired tattoo on the outside of the spectacles. It took nearly 4 hours to tattoo 2 frames.